As 2018 is wrapping up, I hope that you are able to look back on the year and be thankful for all of your blessings, I know I am! I am also excited to move forward into 2019 because I believe it will be a great year filled with new opportunities. 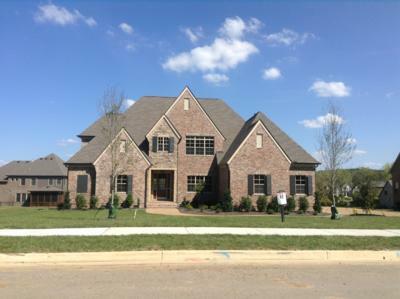 The Nashville area continues to grow by leaps and bounds and people are anxious to get settled here. New neighborhoods are springing up all over the metro area, and older neighborhoods are flipping as Boomers cash out on their family homes and Millennials move in to raise the next generation. It's an exciting time and interest rates are still historically LOW! Get your finances in order. There's nothing worse than starting your online search for homes only to discover that you don't qualify for the homes you've got your heart set on. You'll need to have your finances in order before you get pre-qualified for a loan, so start organizing your paperwork and writing down everything you'll need to hand to a mortgage lender. Need help choosing a lender? This post can help! Agree on a price. You'll want to work with a trusted Realtor to find out what your home is worth and what price point will generate the most interest when you officially list. You'll also need to work with your agent and agree on a price point as you begin your search for a new home. Agree on the timing. 2019 has the potential for higher interest rates, but now through early Summer is a great time to beat some of the uncertainty if that is a concern for you. If you have children in school, you might want to wait until it's closer to the end of the school year, but keep in mind that there are longer waiting periods for closings now, so you'll need to factor that into the timing. ........ "You've Got a Friend in Real Estate"